I would like to provide an Idahoan's perspective to the July 7th Editorial Board article about Cathy McMorris Rodgers' legislation protecting the dams. The first point is that the dams are creating a disaster here in Idaho right now and have been for years. Our fishing seasons continue to be shortened or canceled due to fish scarcity. This hurts the economic well-being of folks living in our rural river towns who depend on angler spending. So you are correct that efforts to ensure salmon survival should consider the overall impacts. But think of Idaho residents too. Eastern Washington residents are not the only river users. 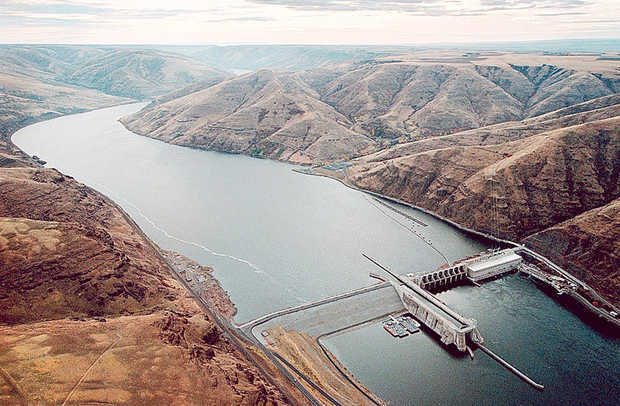 The second point is that there was a time when the Lower Snake River dams did not exist. Along that free-flowing river were farms, orchards, vineyards, homes, roads and bridges. The undammed Snake River did not destroy them. The four lower Snake dams provide no flood control to the region, and they are not storage dams like Grand Coulee or Dworshak. To imply otherwise is a scare tactic. "the chance of meeting National Marine Fisheries Service survival and recovery criteria for the four listed species under Alternative 1 (doing nothing) would likely be the same or slightly better than Alternatives 2 (maximum transport of juvenile salmon) and 3 (major system improvements). Alternative 4 (dam breaching) provides the highest probability of meeting the survival and recovery criteria under the PATH analysis." Yes, you read that correctly. The Corps chose Alternatives 2 and 3, which were predicted to be slightly worse than doing nothing. And in the process, billions of our taxpayer and ratepayer dollars have been wasted on ineffective salmon recovery efforts. The fourth and final point regards spill. These four dams were not created for safe passage of juvenile salmon to the ocean. High levels of spill, like those encountered this year (because 25 percent of the aging turbines are out of service for repair) do cause salmon mortality. But since Judge Simon's ruling requires spill within Washington water quality standards, the judge's ruling will not make salmon mortality worse. To suggest otherwise is again a scare tactic. If we are to have an honest discussion about the dams and find a solution for the whole region, we need to deal with facts.